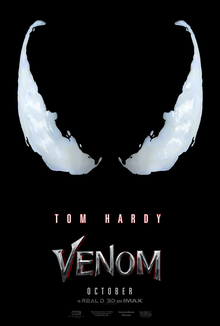 The teaser trailer is out for Sony's upcoming Venom adaptation, and I am underwhelmed. First, this movie appears to be devoid of humor. Second, I'm still confused as to how these movies connect with the Marvel universe. And third, where the hell is Venom's costume? I want to see something that looks like demonic bug with about a foot of tongue. Instead, I get mildly sweaty Tom Hardy. In a word: BOOOO.